If you wish to send your Hair Straighteners away for repair then we offer a complete GHD or Cloud9 repair service. The price includes all electrical parts, labour, packaging and return postage. The only thing that is not included is if any replacement arms are required, for example if the hinge is broken. These will be charged at $20 each (we will contact you once we have inspected your GHDs and worked out what is required). Other than that there are no hidden part costs. All genuine GHD models (including the GHD3, 3.1b, SS (wide), SS2, MS, 4.0B, 4.1B, 4.2B, 4.2B, SS4.0, MS4.0, 5.0, SS5.0, MS5.0) and Cloud 9 (except Touch) models can be repaired. 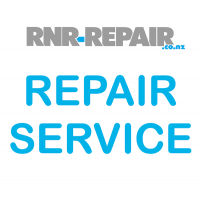 All repair work comes with a 6 month warranty against the same problem occurring again. Please note the latest GHD Eclipse, GHD Platinum and Cloud9 Touch models are not repairable. We aim to return 95% of all irons within 48 hours of receiving them. Purchase this item from the shop. You will then recieve an order reference number. Pack your GHD/Cloud9s in some suitable packaging so that they don't get damaged (any further!) in the post and include a copy of your order number (a print out of your order confirmation email would be ideal). In the unlikely event that your irons are beyond repair you will be refunded in full or you will be offered an alternative. Please do not send in fake GHDs - they cannot be repaired using this service and you may be charged for return postage costs. If you suspect that your ghds could be fake then please contact us and we should be able to tell you. If you have sent us a pair of broken GHD or Cloud9s for repair which require a replacement arm, p..